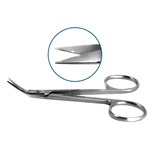 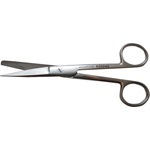 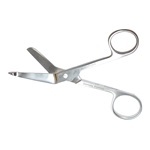 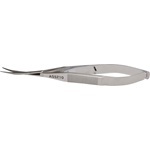 Straight blades with ring handle. .
Curved 25mm blades, rounded tips, sharp.